The second generation of the Range Rover Evoque goes on sale in North America in a few weeks sporting mild styling changes. But under the hood, one of Jaguar Land Rover's top-selling global vehicles gets a host of new technologies and underpinnings. 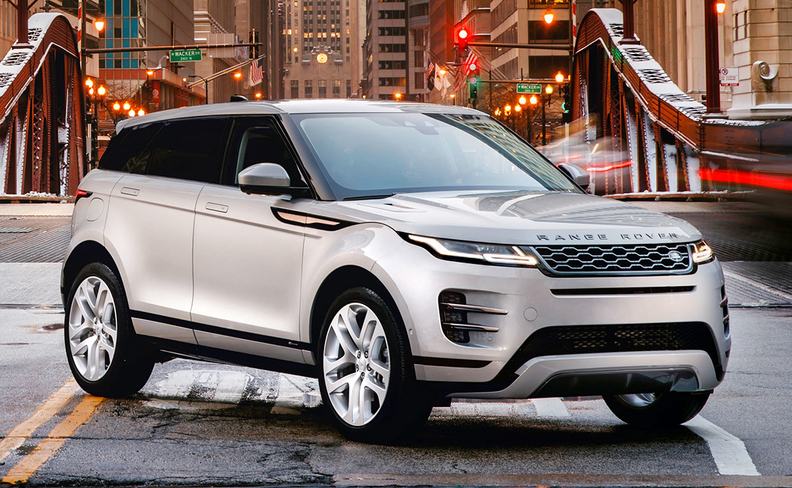 At a press preview Thursday at the Chicago Auto Show, Land Rover officials said six models of the Evoque will be available in North America. The base Evoque S will start at $43,645, while the fully loaded HSE R-Dynamic, a plug-in hybrid version offering 50 more hp, tops out at $56,795. Both prices include shipping. A limited production First Edition will be priced at $57,845, including shipping. The Evoque, which helped launch the luxury compact utility segment in 2012, has been a monster success worldwide for JLR, with more than 772,000 sold. The redesigned 2020 model doesn't mess much with the visual cues of the original, but it does add more interior room, sleeker exterior panels reminiscent of the Range Rover Velar and more emphasis on a refined, quiet ride. JLR says it invested $1.3 billion to redesign and re-engineer the Evoque. For North America, all Evoques are powered by a gasoline 2.0-liter Ingenium turbo four-cylinder engine rated at either 246 hp or 296 hp for the high-output version. Hybrid models add a traction motor as part of a belt-alternator, 48-volt hybrid system. The battery is packaged under the floor. All Evoque models come standard with all-wheel drive. The 2020 Evoque moves to Land Rover's Premium Transverse Architecture. The longer wheelbase helps open more rear legroom, by nearly an inch, while storage space in the rear compartment grows 6 percent to 21.54 cubic feet. One interesting technology, which Land Rover claims is a segment first, is called ClearSight Ground View. It enables the driver to see through the hood and under the front of the Evoque by projecting a 180-degree view of the ground onto the Evoque's upper touch screen.